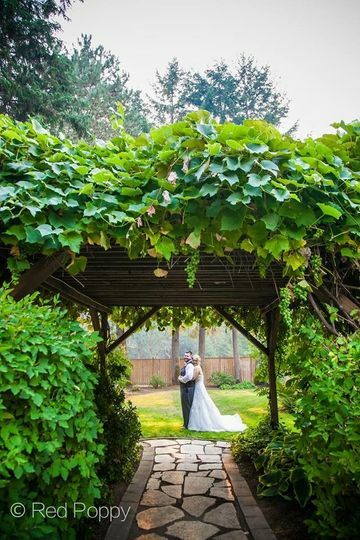 When searching for your perfect wedding location near the Portland wedding and Yamhill county wine communities you will find just what you are looking for in Navarra Gardens. Navarra Gardens is a beautiful, peaceful, park-like setting on landscaped gardens and lush lawns that are shaded all day. 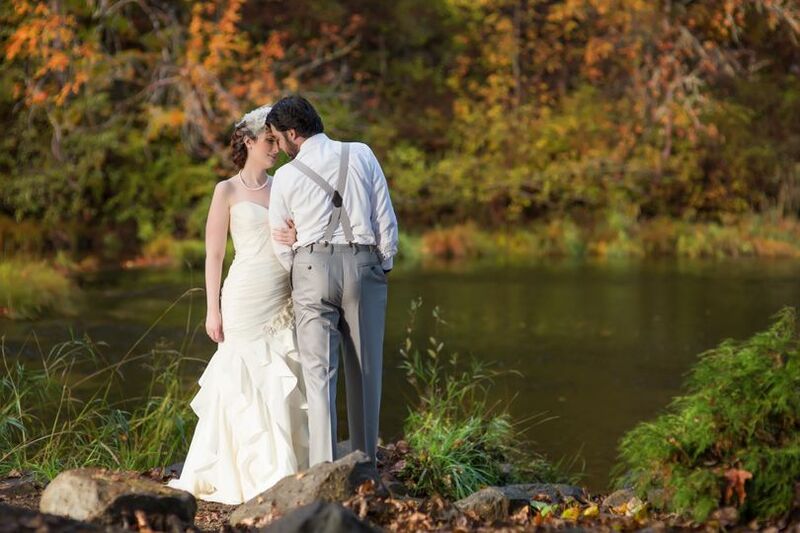 We have many photographic settings such as water features, grape arbors, lush green grass and a riverside. There is a host on site at all times to assure that your event progresses smoothly. 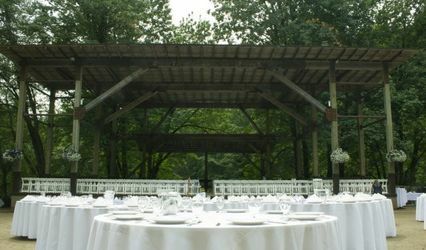 You may schedule your rehearsal prior to the wedding day and you have the site for the entire day of your wedding. You may contract your own caterer and alcohol is allowed. We attempt to fairly structure our rates to fit into every budget. We have a variety of locations on 6 acres available depending on your needs. 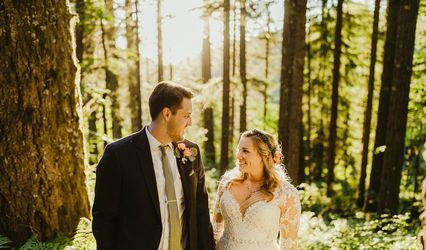 Larger groups may wish to locate their event along the river bank, smaller more intimate events may wish to locate in the beautiful yard under giant fir trees. 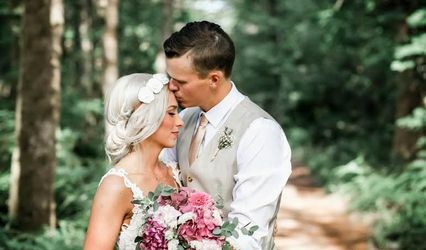 You may wish to take advantage of a stay at the beautiful Hanson House Bed and Breakfast, only a 1/4 mile away, or a quick 4-mile drive to the Spirit Mountain Casino where you can find quality lodging at their hotel. Marie is amazing, and the location is beautiful. Could not have asked for more. 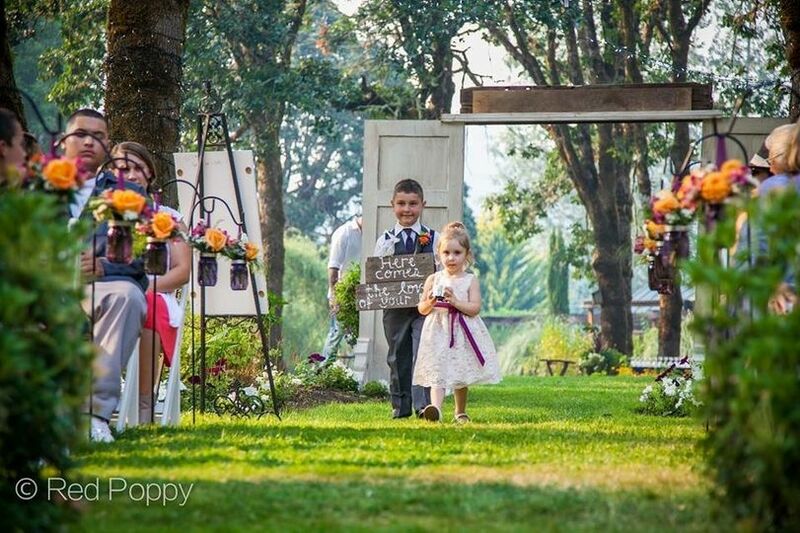 Navarra Gardens is THE place to get married!!! It is one of the most beautiful places I have ever seen!!! I (the bride) was a bit nervous.. HAHA.. and stepping on to Navarra Gardens gave me such peace that the nerves just went away! Marie (owner of Navarra Gardens) is one of a kind! She is the definition of loving and generous! One of my bridesmaid just had a baby, the baby had fallen asleep during our loud reception; Marie took her into her own home to let her sleep.. THIS WAS NOT PART OF THE CONTRACT! She brought us warm, homemade cookies and coffee while the wedding party was getting ready! She is just simply AMAZING!! 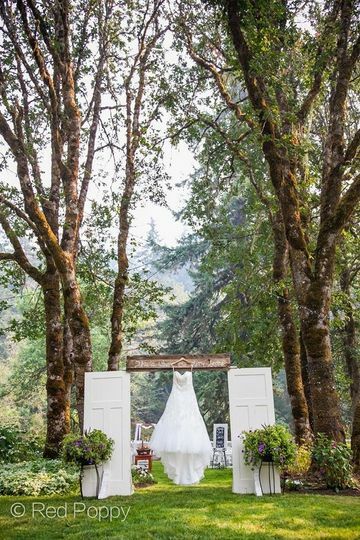 If you are getting married in Oregon, get married here!!! Marie was the best! 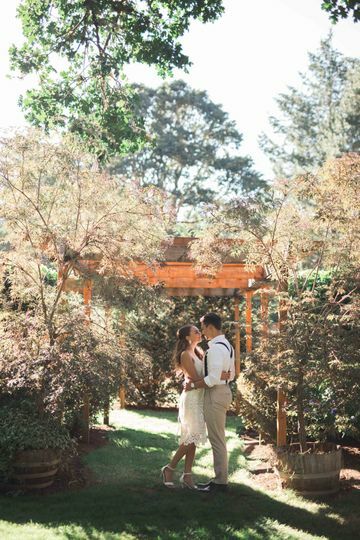 I chose Navarra Gardens for our venue for a few reasons…we wanted an outdoor wedding, and seriously her property is GORGEOUS! Right on the river with a huge very well maintained and manicured yard. Plenty of room for everyone! You can not beat the price; get the venue for the whole day, and tables and chairs included! There is not one thing I would of changed about the place. 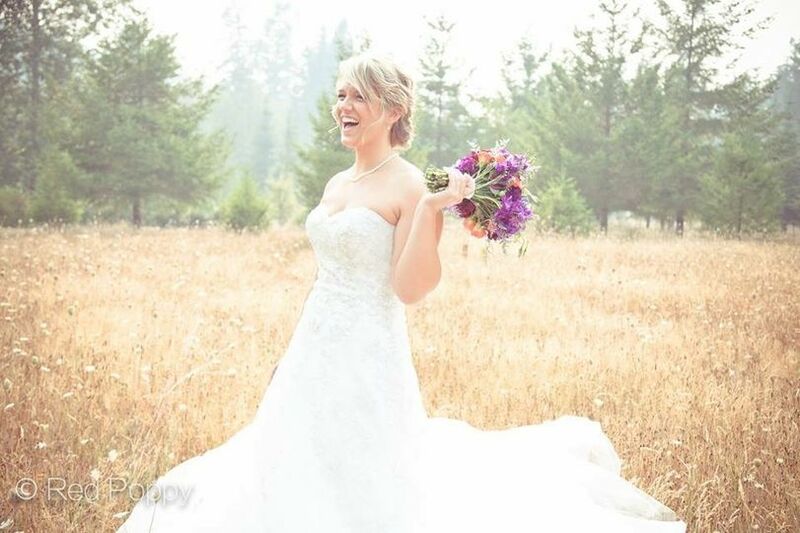 Marie was super accommodating and so calm, with Marie it’s all up to the bride, she truly does make the day a smooth one!